Whooo's looking safer than ever? 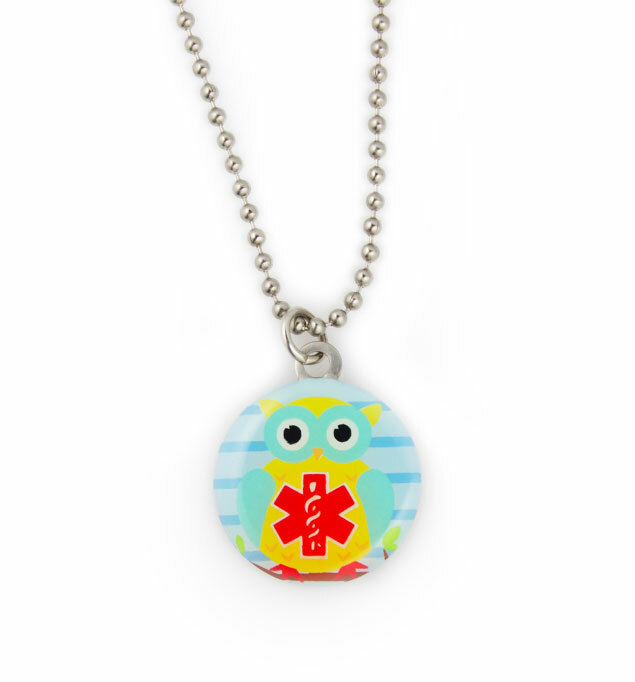 Your wise little one will be safe and cute with this darling medical alert necklace featuring an adorable owl. With a bold red caduceus medical symbol on the owl's chest, adults around your child will be aware that his or her medical information is close at hand.